"The greatest challenge of the day is: how to bring about a revolution of the heart, a revolution which has to start with each one of us?" "The legal battle against segregation is won, but the community battle goes on." "Words are as strong and powerful as bombs, as napalm." 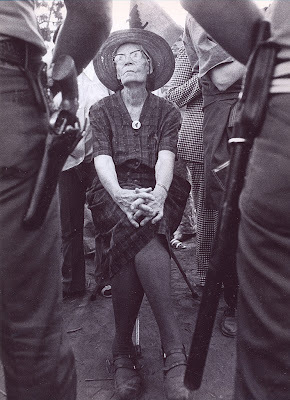 To read more about Dorothy Day, click here. To read about her incredible life and courage I recommend her autobiography. I were still a wee lad when I figured out that people don't believe what they say, they believe what they do; and the two are often at odds.